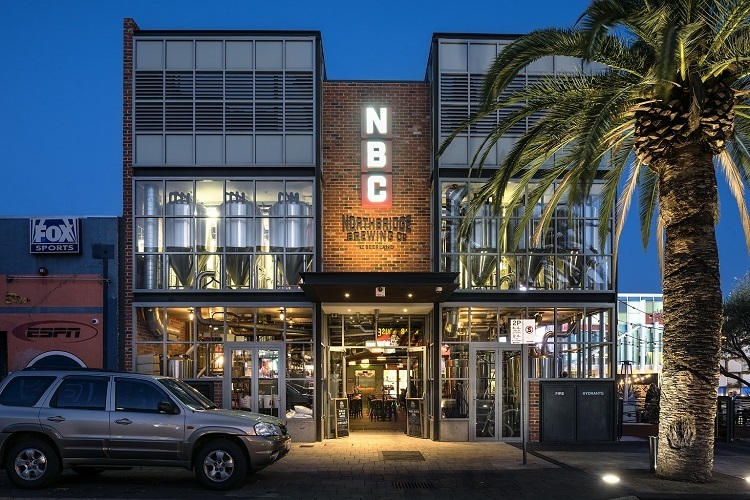 Located in the centre of the Northbridge entertainment precinct in an iconic location, the Northbridge Brewing Company building is home to an on-site microbrewery, as well as a bar, restaurant and sky deck overlooking the Piazza and popular James Street. Working closely with the client, Calibre provided the structural design and documentation of the building. The basement needed to have a small building footprint to allow the builder to batter back to the boundary without the need for shoring. To accommodate this, our team designed the basement walls as in-situ concrete and supported the suspended ground floor over, which extended out to the boundary. The walls from the ground floor up were designed as either precast panels or concrete filled blockwork, while in-situ concrete suspended slabs formed the first floor and skydeck. There is provision for the lightweight canopy facing the piazza to become a mezzanine floor at a later stage. The feature glazed pods at the front of the building which house the brewing tanks were constructed from a steel frame that acted as window headers and supported the concrete slabs at the first floor level. The loadings for the floors were carefully considered given the weight from the brewing tanks supported on them. Steel frame and concrete design for the feature pods at the front of the building. Glazing support and live loading from the tanks were carefully considered in the design. *All photography of Northbridge Brewing Co. by D-Max Photography. I have used members of the Calibre team for as long as I can remember as our go to commercial Structural Engineer. This project was no exception, with the inclusion of their civil consulting division. With 26 consultants involved it was imperative that all consultants understood the vision and the passion we were aiming for. We work closely with Calibre in every detail to achieve a fantastic outcome.